Fleet automotive shops and other industrial maintenance shops prefer these soft and absorbent flannel rags over those red rented wipers. 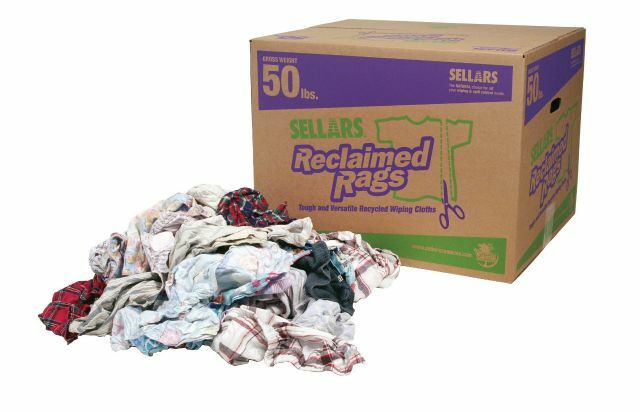 Manufactured from reclaimed flannel apparel such as pajamas and shirts, these recycled shop rags have been thoroughly quality checked for consistent high quality. 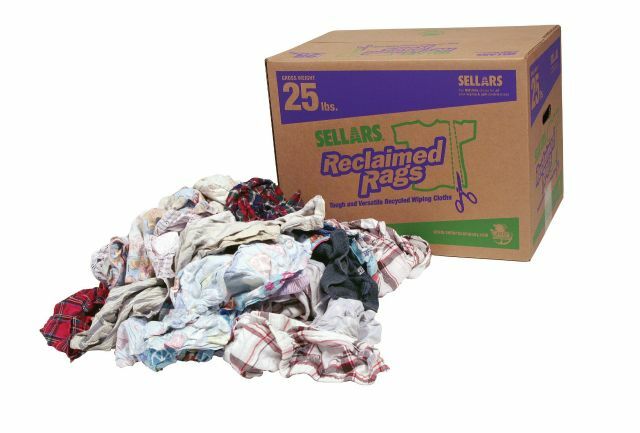 All buttons and zippers have been removed from these recycled shop rags, leaving only the soft, highly absorbent flannel material, cut to the ideal wiper sizes packed into 25 pound and 50 pound boxes. Use these flannel rags for clean-up and/or cleaning and polishing! Excellent for automotive detailing. Not only will your shop personnel be pleased but, your accountant will agree. Compare the price of these recycled shop rags with the price of rental rag service and you'll make the CFO happy. Due to the nature of reclaimed flannel apparel, these rags will not be consistent in color or size. Rather, you'll have a variety of wiper rag sizes and colors/patterns mixed in each box. Part of the charm of this product is knowing that these rags have had a prior life as a shirt or as a child's pajamas. Reuse is good for ecology and the economy! Fabric is light in weight meaning more rags per box! Our reclaimed rag process provides jobs and job training through the US Job Corps.